The photography deadline is approaching fast! Our next photography exhibition and competition, Natural Herne Bay, is very nearly here! 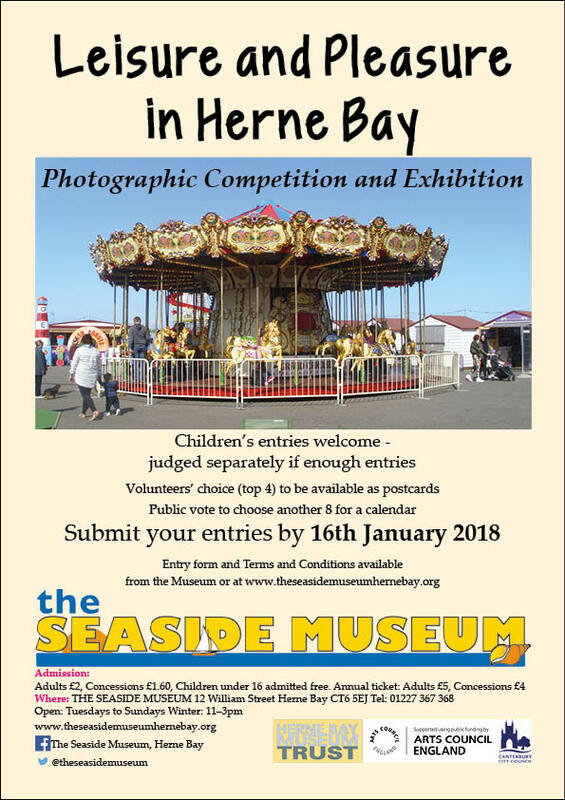 All photos should be in to the museum by the end of next Tuesday, 15th January, please. You may submit up to 3 photos, preferably on A4 photographic paper. If you don’t have the facilities to print at home, then The Studio in Mortimer Street should be able to help, or the booth in Boots will print up to around A5 size (but please make sure your photo file is of good enough quality to print to A4 in case it’s chosen for our calendar!). Entry forms and the full Terms and Conditions are available from here. 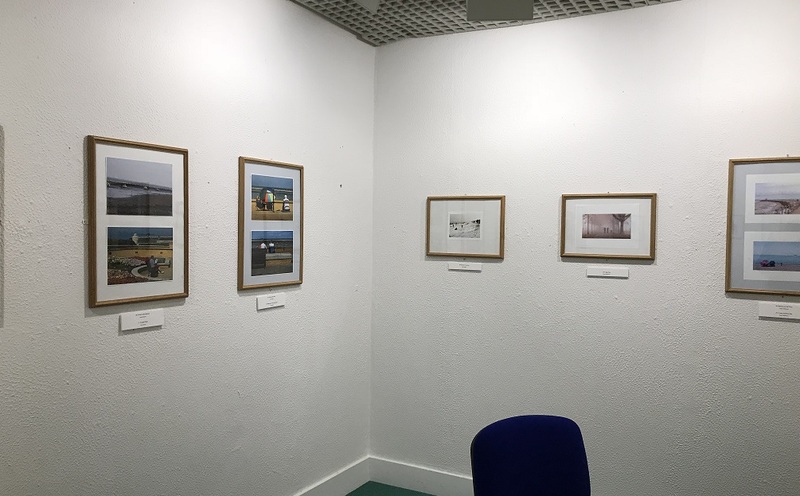 The exhibition will be available to see from 2nd February to 31st March, and during this time you will be able to vote for your favourites for our 2020 calendar. 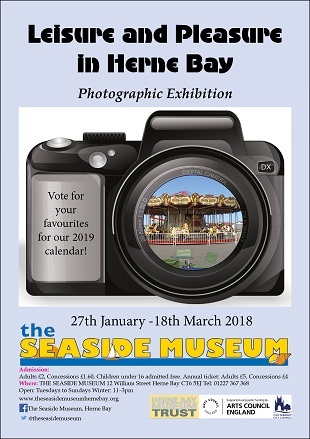 Limited numbers of the 2019 calendar, featuring Leisure and Pleasure in Herne Bay, are on sale in the museum shop, subject to availability. To stay up to date with museum events, why not subscribe to this blog? Author Lin WhitePosted on January 7, 2019 January 7, 2019 Categories UncategorizedTags exhibition, photographyLeave a comment on The photography deadline is approaching fast!